Though she’s a fictional character, Kim Ji-young is a symbolic figure in Korea. It seems her status will be even more elevated as novel “Kim Ji-young, Born 1982” recently became a million seller. The novel, written by Cho Nam-joo in 2016, has sold more than 1 million copies, publisher Minumsa announced Tuesday. It is now the first million-selling Korean novel since Shin Kyung-sook’s “Please Look After Mom” in 2009. Since its publication, “Kim Ji-young, Born 1982” has been labeled a “feminist novel,” with the storyline centering on a housewife who becomes a stay-at-home mom and later suffers from depression. The book depicts the everyday sexism the title character experiences from a young age. The novel gained attention recently after the #MeToo movement began to sweep across the country. 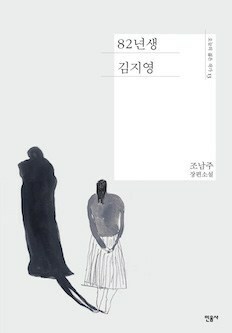 Numerous celebrities and politicians endorsed the book, saying it realistically depicts what it is like to be a woman in Korea. “The sales record was affected by feminist movements such as #MeToo that shook our society. Interest in the book was rekindled when issues such as sexual abuse at work and ‘safe breakups’ were raised,” Minumsa representative Park Hye-jin said. To celebrate its success, the publisher has released a special edition featuring an interview with the author. “(I wrote the novel) to show women’s shared worries,” Cho said, pointing out that Kim Ji-young is ordinary in every way. There is nothing exceptional about the character. “Kim Ji-young, Born 1982” has its detractors as well. Some, viewing it as a symbol of feminist literature, immediately went on the attack. When it was announced that actress Jung Yu-mi would take the lead role in a film adaptation of the novel, many, claiming to be men, wrote online that they would boycott her work. Also, Irene of K-pop girl band Red Velvet was cyberbullied just for mentioning that she had read the book. The novel’s literary value is questionable. Earlier this year, literary critic Jeon Sung-wook came out with a critique arguing that the work did not go beyond pre-existing feminist literature. “(The novel) generalizes complex issues of oppression, discrimination and alienation against women with oversimplified common notions, imitating the conflict structure of the past,” Jeon wrote in his book. Nonetheless, the book has a broad fan base and will be made into a film with Jung Yu-mi and Gong Yoo taking the lead roles. The shooting is to begin early next year. The book is also set to be published in translation in 16 countries, including Britain, France, Spain and Italy, according to the publisher.